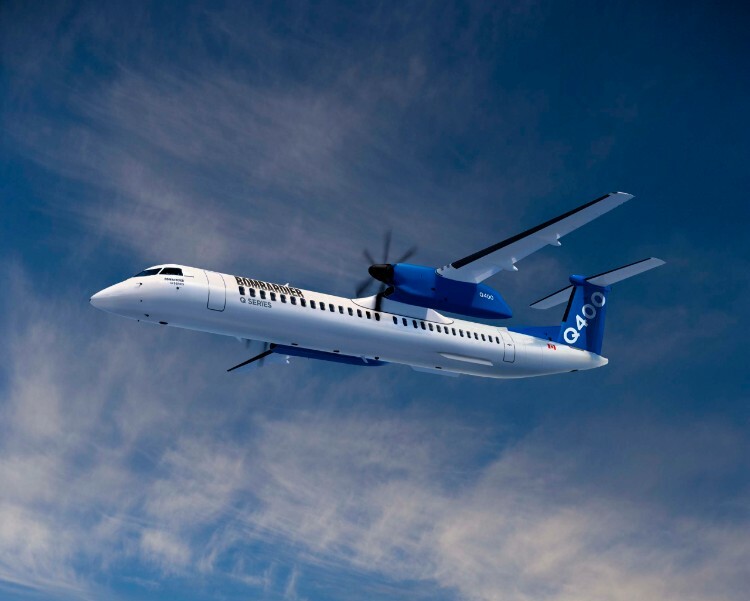 Bombardier's commercial aircraft department confirmed yesterday that it had received certification from Transport Canada for a 90 seat cabin configuration on its Q400 aircraft! 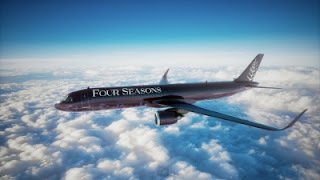 The company sees this as a major milestone in the types development and another step in its continuous improvement of its Q400 aircraft, aimed at addressing traffic growth and customer bottom line, regardless of passenger comfort or space. The 90 seat configuration offers a seat pitch of 28 inches at its widest, so you'll not want to be squashed in there for long flights. Other improvements under development includes a 2,000-lb-increase in payload capacity and an escalation of the A-Check and C-Check intervals from 600/6,000 to 800/8,000 flight hours. Such a jump in interval times for maintenance checks will certainly ease an airline's bottom line, but at what cost to passenger safety? Full stats on the Q400 are available here. 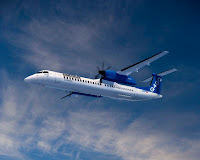 “With increasing growth in the number of passengers per departure in the turboprop market, we are excited to offer our customers a higher-capacity configuration and 15 percent lower cost per seat compared to the previous standard Q400, leading to more profitability potential for airlines,” said Todd Young, Head of the Q Series Aircraft Program, Bombardier Commercial Aircraft. The first airline to operate the new 90 seat Q400 will be India's SpiceJet who have 50 of the 90 seat variety on order from the Canadian manufacturer.